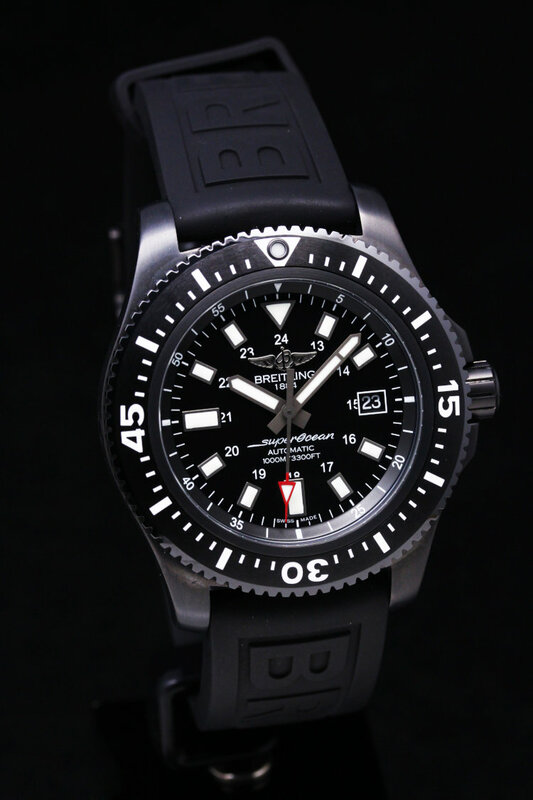 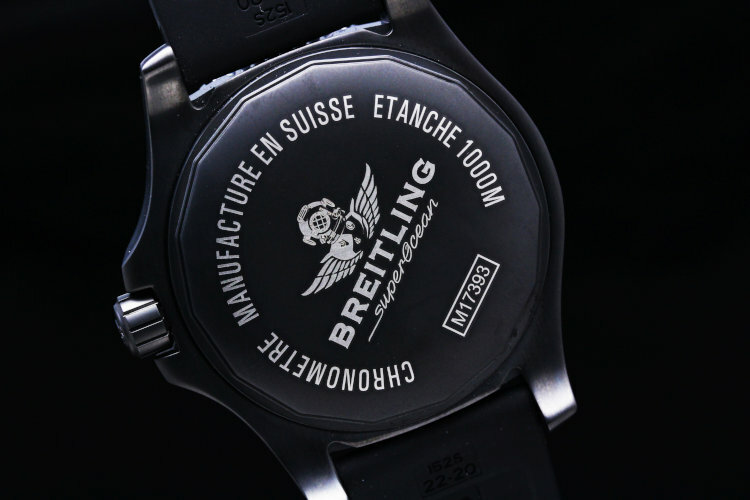 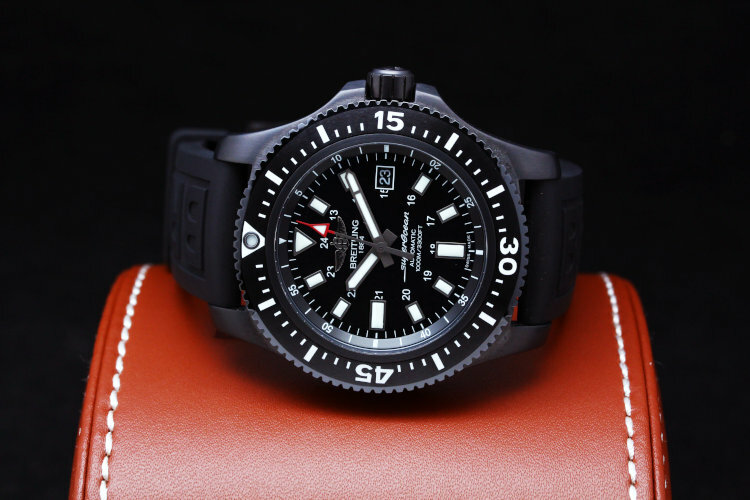 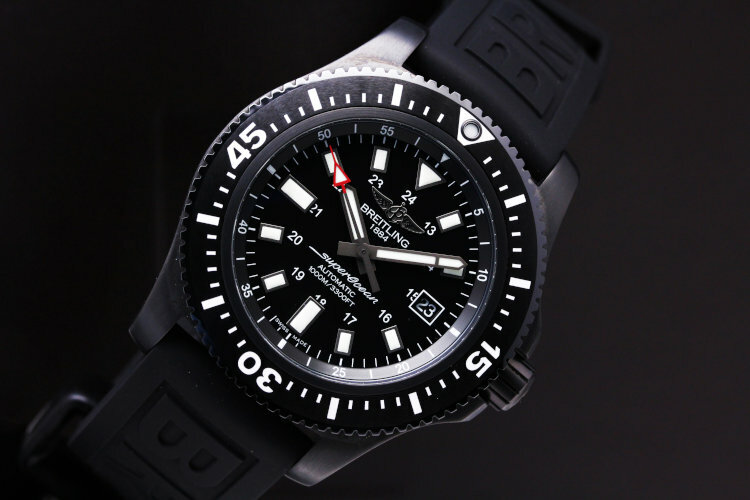 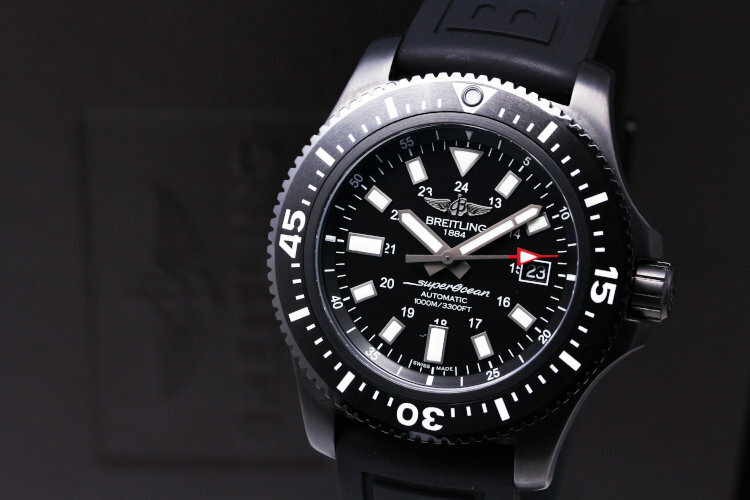 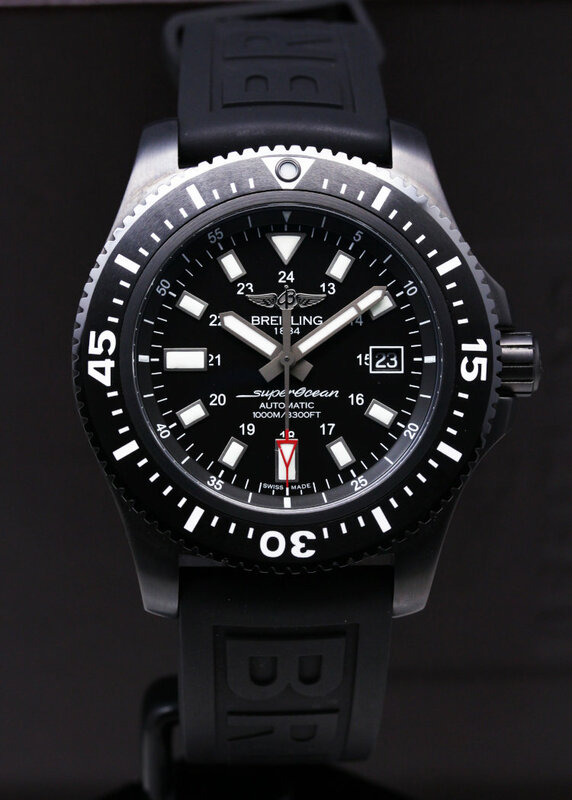 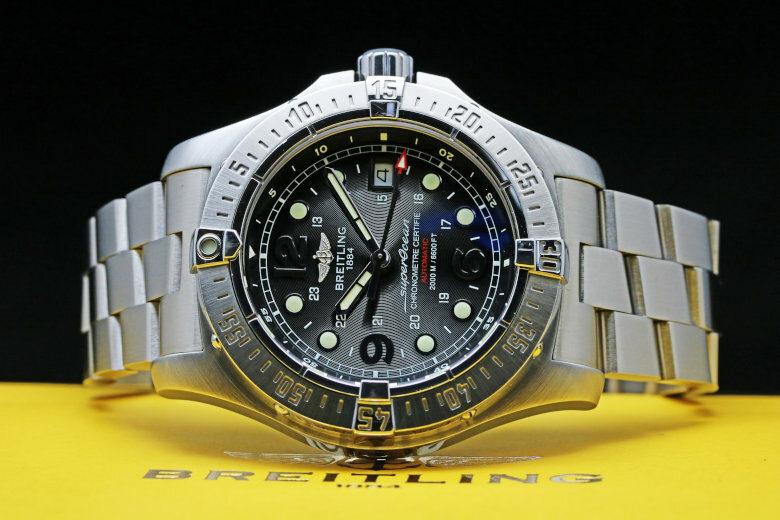 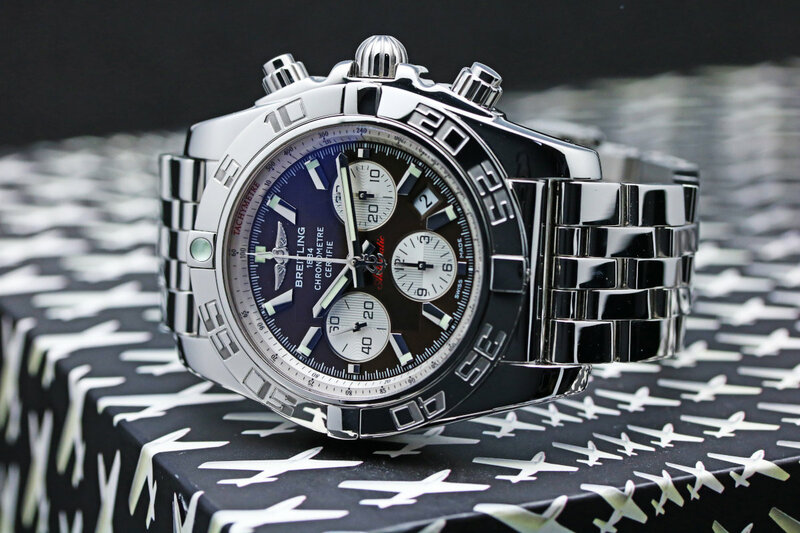 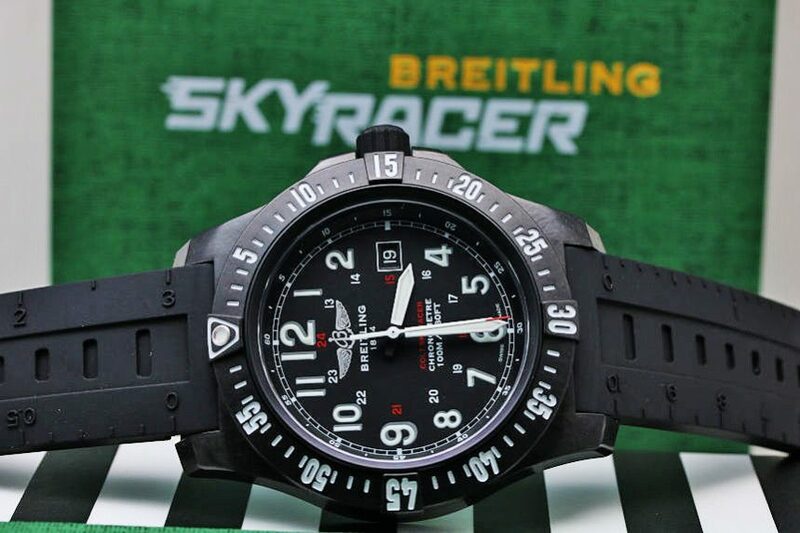 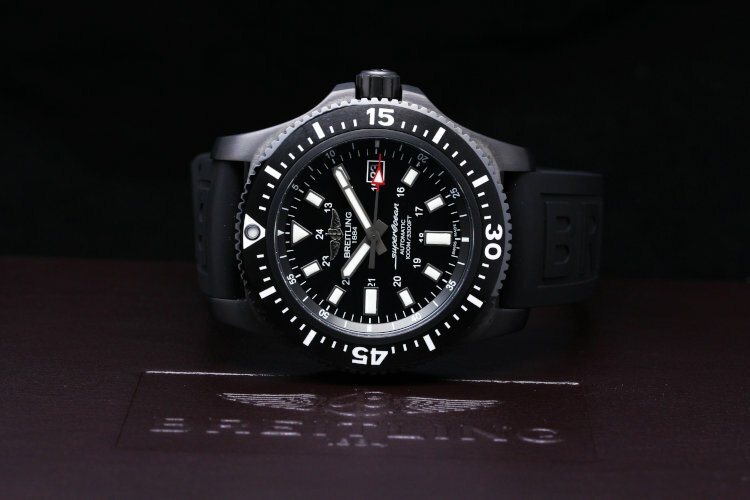 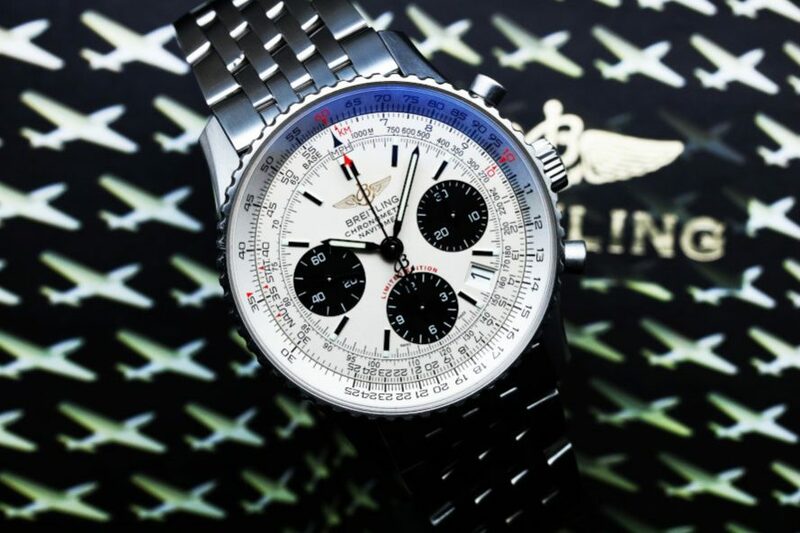 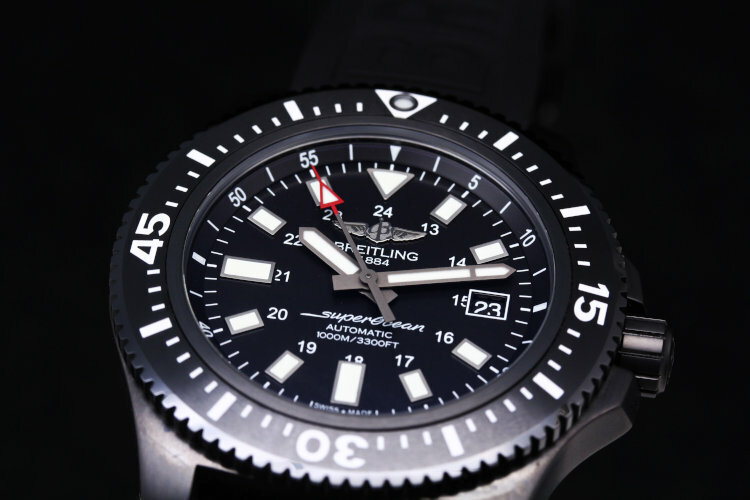 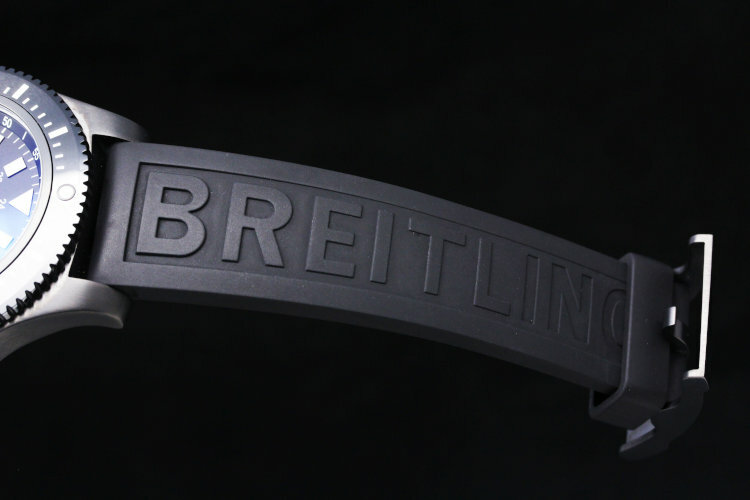 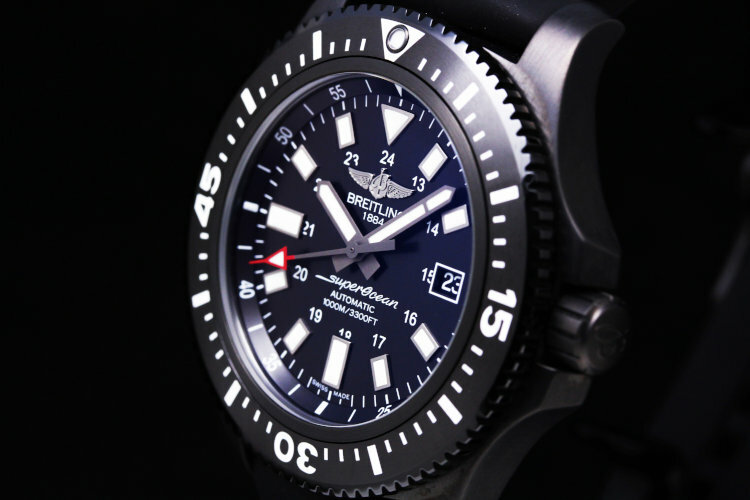 Breitling Superocean 44 Special - M17393　The oversized hands, numerals and hour-markers, accentuated by a luminescent coating, ensure optimal readability even in the dark ocean depths. 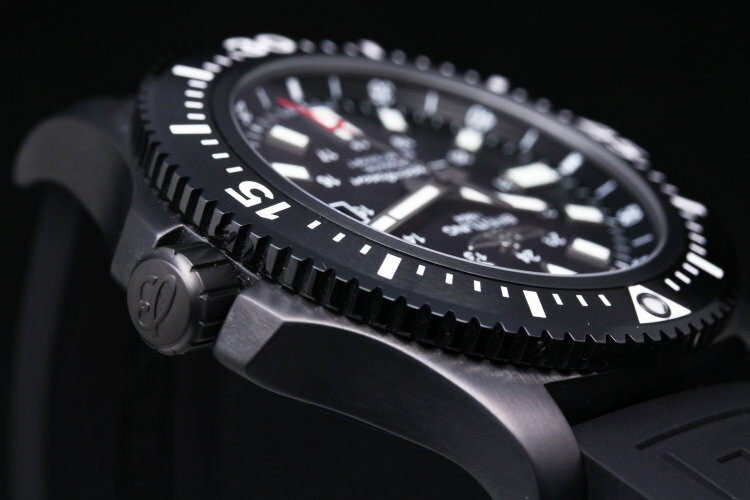 Fitted with a 44 mm-diameter case equipped with a safety valve, this special series with its original and distinctly technical style houses an officially chronometer-certified selfwinding movement. 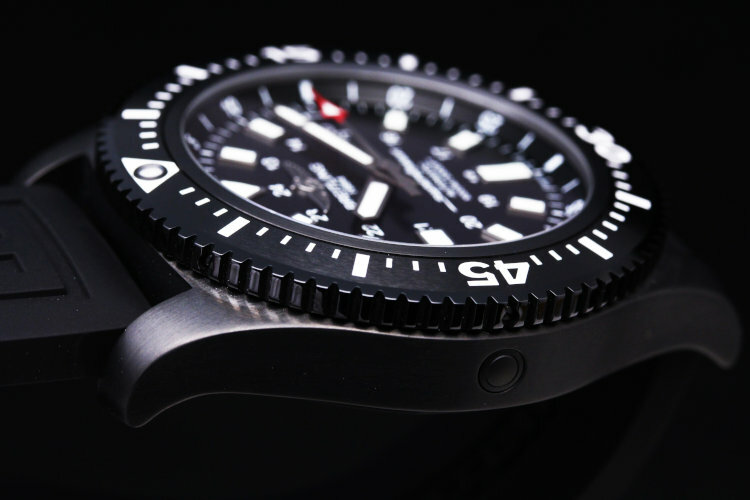 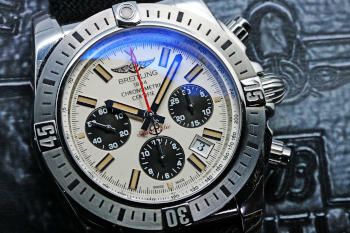 dial housing a date aperture at 3 O'clock surrounded by a black ceramic divers bezel.